SOFTWARE FOR KEY RATE CALCULATIONS. Download our software for evaluating the performance of QKD protocols. Quantum computing may soon out-perform the best (classical) computers in the world at certain tasks. Still, noise remains an important issue for quantum computers. Shortening the depth of quantum algorithms is an effective means to reduce the impact of noise on quantum computations. 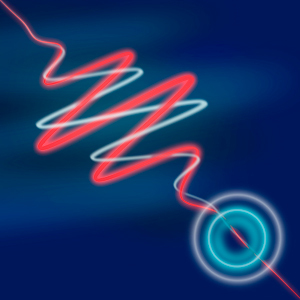 In this work, we present an automated method for finding short-depth quantum algorithms. Our method uses machine-learning ideas to do task-oriented learning of such algorithms. We apply this method to the task of computing the overlap between quantum states, and we find shorter-depth algorithms than the well-known literature algorithm called Swap Test. 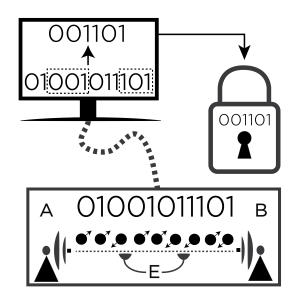 Quantum key distribution (QKD) is a commercial technology that distributes secret keys to two physically separated parties, with security guaranteed by the laws of quantum physics. Our new paper gives a general method for numerically calculating a QKD protocol’s key rate, which is the standard figure for judging a QKD protocol. This paper solves two main issues: (1) how can we make such numerical calculations reliable (i.e., so that you can trust that the key rate is secure) and (2) how do we do such calculations in a tight manner (i.e., without introducing any looseness). A quanton (i.e., a quantum particle) sometimes behaves like a wave and sometimes behaves like a particle. But any interferometer that you build to reveal the quanton’s wave behavior cannot reveal the particle behavior, and vice versa, an idea known as wave-particle duality. This has been stated quantitatively in the literature in the form of inequalities, so-called wave-particle duality relations (WPDRs), that upper bound the sum of the wave and particle behavior that an interferometer reveals. In this work we show that WPDRs are in fact uncertainty relations, in particular, entropic uncertainty relations. Hence we unify two fundamental concepts in quantum physics. This builds on our previous work, which treated two-path interferometers, extending the result to arbitrary multi-path interferometers. Furthermore, this work solves an outstanding problem of how to formulate universally-valid WPDRs for interferometers with more than two paths. Heisenberg’s uncertainty principle captures the essence of quantum behavior. In modern formulations of the uncertainty principle, entropy has replaced standard deviation as the uncertainty measure of choice. This is partly because entropy provides a more intuitive and more robust framework. Furthermore, entropy has operational meaning in cryptography and other information-processing tasks. In fact, entropic uncertainty relations provide the theoretical basis for the security of most quantum cryptographic protocols. Here, we give a comprehensive review of entropic uncertainty relations, including their importance for basic physics as well as their application in quantum information technologies like cryptography. 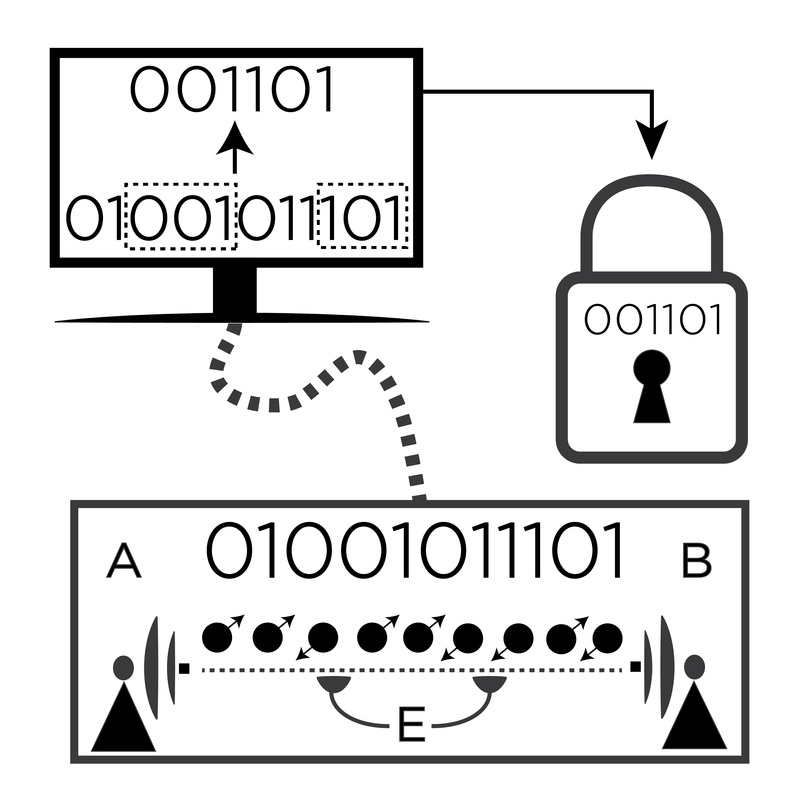 Quantum key distribution (QKD) allows two parties to generate a shared key whose secrecy is guaranteed by quantum theory. 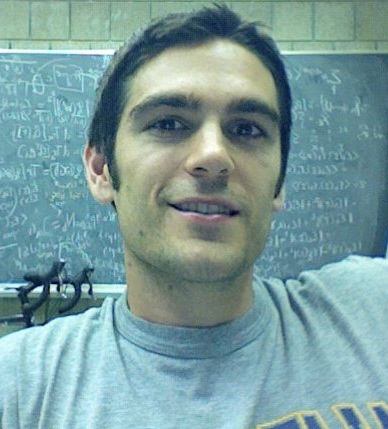 The main theoretical problem in QKD is calculating how much secret key that a given protocol generates. For some special protocols that have a high degree of symmetry, one can exploit the symmetry to analytically simplify the key rate calculation and hence calculate the key rate. However, experimental imperfections tend to break symmetries, and hence lack of symmetry is the rule rather than the exception. For such “unstructured” protocols, i.e., those that lack symmetry, there is currently no general method for calculating the key rate. In this work, we address this problem by developing a robust and efficient numerical approach for calculating key rates. Our approach relies on transforming the (primal) optimization problem to its dual problem, which has significantly less parameters than the primal problem. We illustrate our method by giving tight lower bounds on the key rate for some unstructured protocols whose key rates were not previously known. QKD is meant to provide a perfectly secure means of communication between two parties (Alice and Bob). In this work, we discovered a flaw in the security analysis of a commonly used protocol in finite-size QKD. The problem with the protocol is that the communication between Alice and Bob leaks some information to the eavesdropper about which rounds will be used for testing of the presence of an eavesdropper. Hence the eavesdropper can tailor her attacks based on this information, and we give some example attacks that exploit this vulnerability. We also propose a modification to the protocol to fix the vulnerability. Continous-variable QKD (CVQKD) provides a highly practical physical implementation of QKD since, e.g., it does not require single photon detection. In this work, we make CVQKD even more practical, by proposing a protocol that dramatically simplifies the hardware. Instead of the usual approach where Alice sends her local oscillator (LO) to Bob, we propose that Bob generates his LO locally. We theoretically study how this modification effects the expected key rate for the protocol, and we give a proof-of-principle experimental demonstration of our protocol. In particular, this advance should allow one to integrate the photonics for QKD onto a chip.